Struggle to live the healthier lifestyle you strive for? We all need a little help sometimes! See these 5 ways the Jawbone UP2 and UP3 can help you achieve a healthier lifestyle. 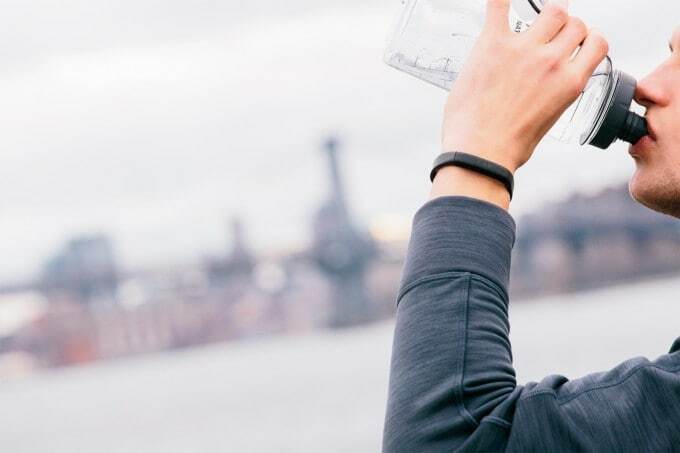 These 5 ways the Jawbone UP2 and Up3 can help you achieve a healthier lifestyle is part of a sponsored post written by me on behalf of Best Buy. The reviewer has been compensated in the form of a Best Buy Gift Card and/or received the product/service at a reduced price or for free. These days, many of us grew up without having to do a lot of hard physical work around the home to help out with family chores. We also grew up with the lower fat and higher carb lifestyle which many of us have discovered isn’t always necessarily best for our health. My parents didn’t have me until their late 30’s and were born in the late 40’s in the south, so I often heard stories of how they had to do a lot of physical work such as working tobacco. I was lucky enough to never have to do any sort of work like that, but I also didn’t learn to make a routine of staying active nor eating healthy as a kid. This has led to me having to reteach myself a healthier lifestyle as an adult, and it’s not always easy. That’s why I love that there are a variety of devices and tech that can help us stay on task for living healthier. Check out these 5 ways the Jawbone UP2 and UP3 can help you achieve a healthier lifestyle. 1. You can track your sleep habits. I’ll be the first to admit that when I don’t sleep, it pretty much throws off my whole day. My mood is soured, I’m not as productive as I like and it’s just overall a blah day. Both the UP2 and UP3 help you to track your sleep so you can see how your daytime activities may affect your sleep. There’s also a smart alarm that helps you to wake up at the ideal time, along with a power nap alarm for those midday naps. 2. Do you really know what you eat and drink all day? It can be easy to think you eat healthy when you have that big salad for lunch and fish for dinner. But, it can also be easy to forget about those chips, soda and a candy bar you mindlessly ate at work. 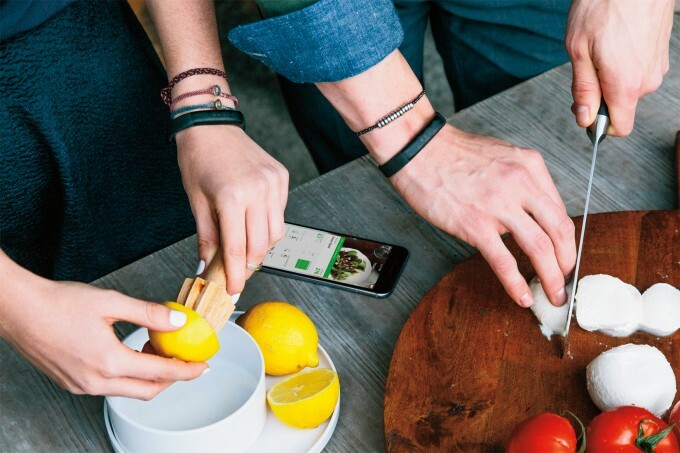 With the Jawbone UP2, you can log your meals to get insight on what small steps you can take to eat healthier and drink more water. 3. It motivates you to keep moving. We all know we should strive to get at least 10,000 steps in a day and at least a few minutes of activity in. However, it’s not the easiest thing to keep track of on your own with everything else going on during your day. That’s why I love that the Jawbone UP2 and UP3 help you keep track of your daily activity. Not only can they track your steps for the day, but also alert you when you’ve been idle for a set period of time. Plus, I find that when I can actually see I haven’t met my daily goal, it really does motivate me to get up and move more instead of parking in front of the TV. 4. Stay accountable with the help of friends and family. No one will know if you take a day or 2 off from staying active, right? This is a pitfall I often fall into because a day or 2 off can easily turn into a week. That’s why I love that with the Jawbone UP2 and UP3, you can not only wirelessly sync up to your iOS or Android device to see your progress over time, but also team up with friends and family to create team goals and even challenge each other. Healthy competition is always a great motivator! 5. Take things a step further by monitoring your heart rate and utilizing the Smart Coach. The Jawbone UP3 has a few extra features like being able to monitor your resting heart rate that helps you take an extra look at your heart health and the Smart Coach. I think the Smart Coach is pretty awesome because it utilizes all the information recorded (sleep, food, activity, resting heart rate) to give you more detailed insights and personalize tips to help you reach your healthier lifestyle goals faster. Bonus: They Jawbone UP2 and UP3 look pretty awesome, too! They’re sleek and stylish so you don’t have to feel like you stick out like a sore thumb while trying to stay on track to your healthier lifestyle. The Jawbone UP2 and UP3 are available at Best Buy starting at just $99.99. I think that’s a pretty low price to pay when it comes to living healthier and improving your quality of life! Now that you know 5 Ways the Jawbone UP2 and UP3 Can Help You Achieve a Healthier Lifestyle, which one would you buy?